Business Office, M-F 9 a.m. to 5 p.m.
Off of I-270, go North New Florissant Road, turn on Parker Road, Garden Plaza will be to your right. 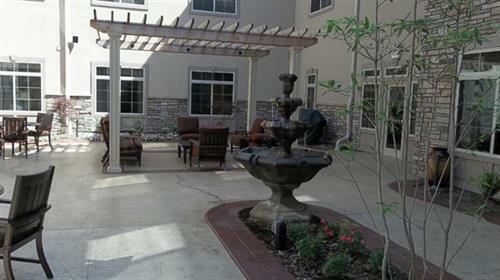 Whether you prefer Independent Living in your own private patio home or Assisted Living with an apartment floor plan of your choice, the Bridge at Florissant can accommodate you. Scheduled transportation is available to whisk you away to visit friends, go to religious services, attend medical appointments, or to enjoy the intriguing museums and superior dining in St. Louis. One thing residents can be secure in knowing, is that the Bridge at Florissant is able to accommodate a diverse range and changing set of senior needs, all on location. 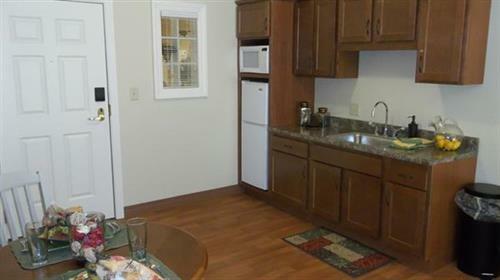 This Continuum of Care Campus offers not only Assisted Living and Independent Living, but also a Life Care Skilled Nursing Facility. Our professional and friendly staff is available to see to each of our residents? needs, and make sure every available accommodation is provided in order for them to live the most independent lives possible. We embrace the opportunity to introduce you to our family and show you how we can enrich your life. The Bridge at Florissant?s staff is more than happy to take care of the details while you are out enjoying your rewarding life. 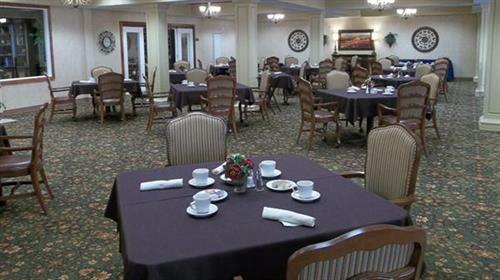 We offer housekeeping, apartment maintenance, and meals served in our delicious restaurant-style dining room. 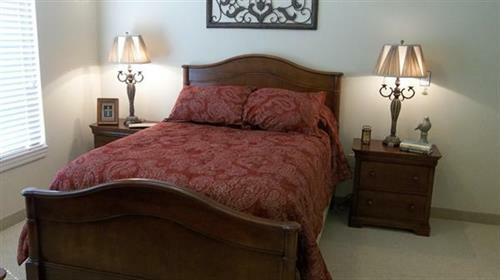 You will quickly discover that we have taken care of everything, we offer quality without compromise. In this worry-free environment you will find yourself with more time for the finer things in life like socializing, picking up hobbies, and going on adventures.